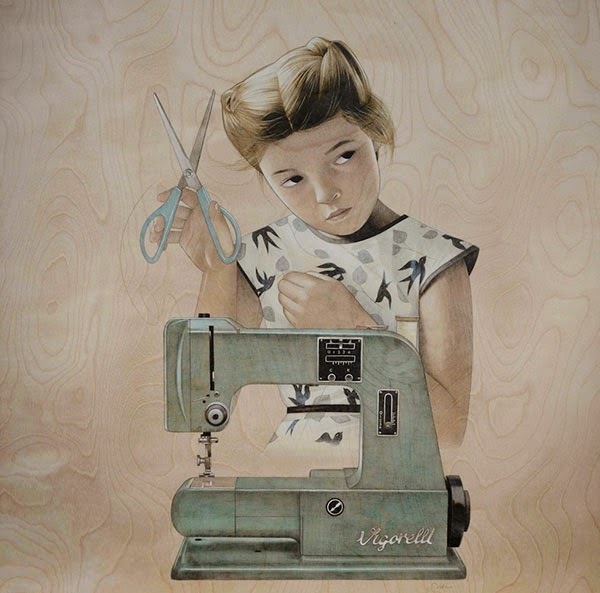 Acrylic paintings on wood that have a vintage postcard feel to them owing to the muted color palette. 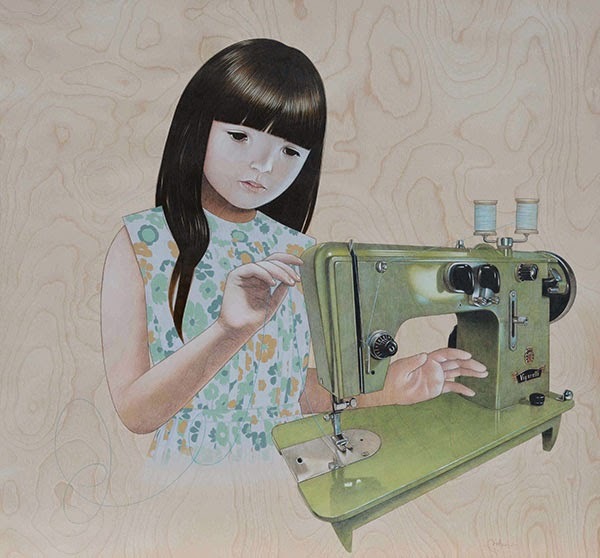 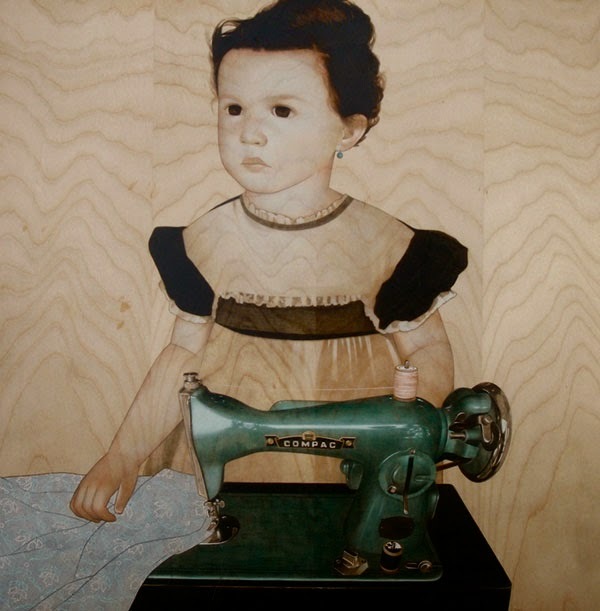 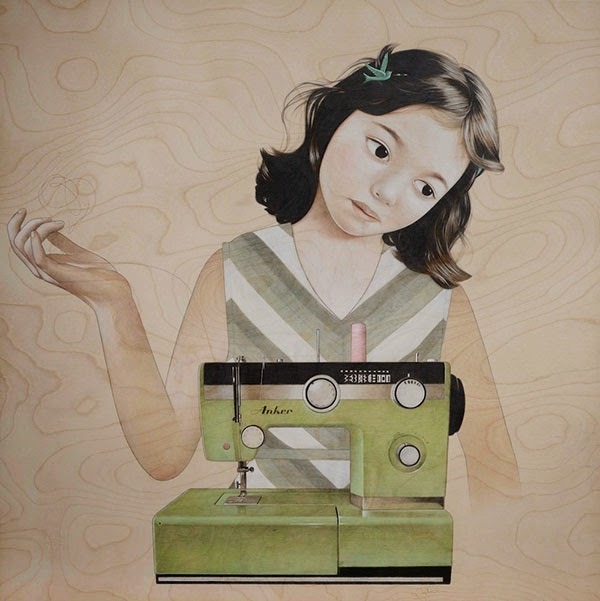 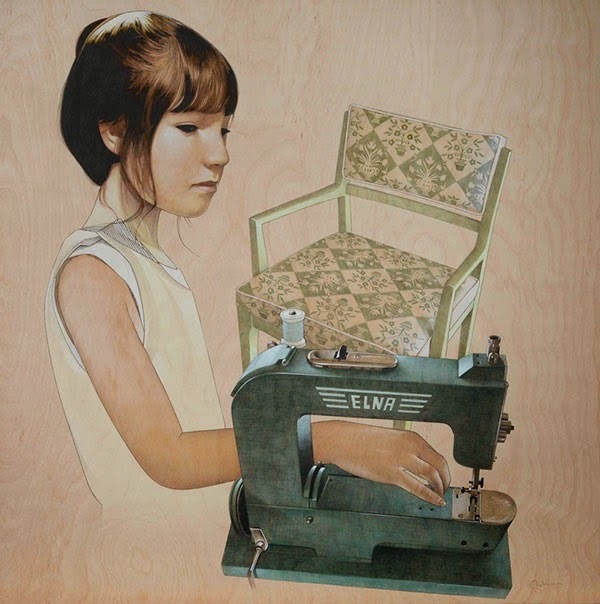 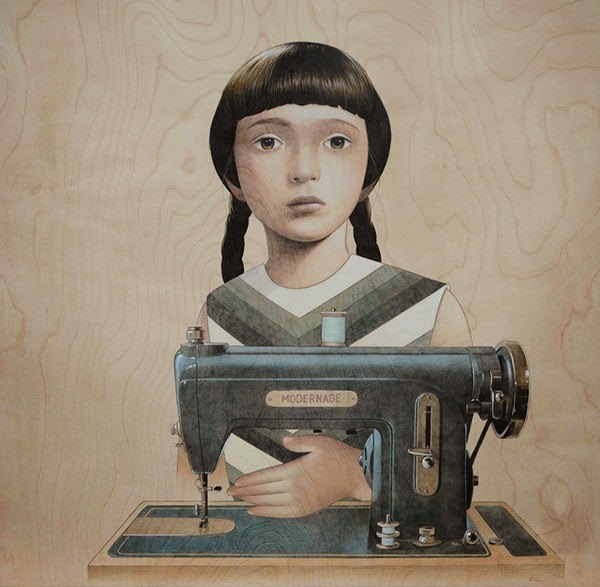 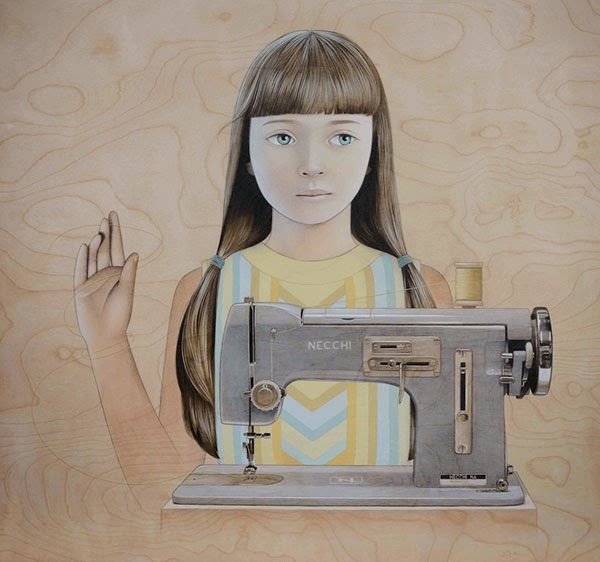 The image of young girls with sewing machines conveys a gentle sweetness. 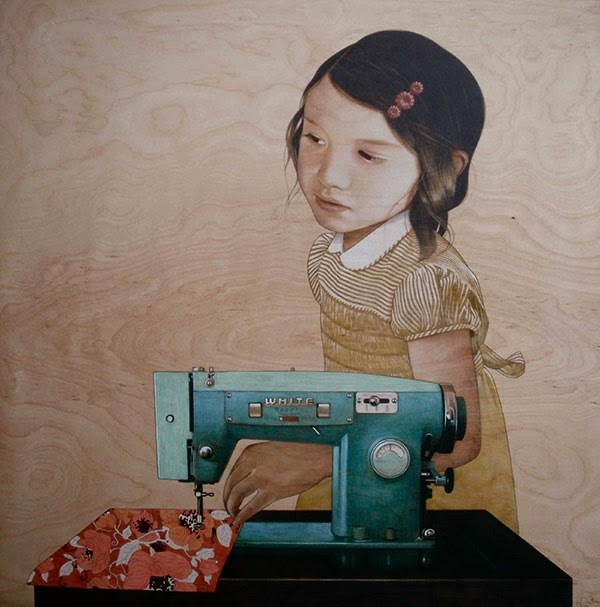 The subjects are often dreamy, withdrawn, and even melancholic and as the title of the works suggests, something quiet, binding, and invisible is at work within the fabric of the human spirit.